Visit & LIKE our Facebook Page . Get latest Personal Finance alerts and Blog articles on your FB account. Govt allows all Public Sector Banks and top three Private Banks (ICICI, HDFC & Axis) to accept deposits under Small Savings Schemes like National Savings Certificate (NSC), Recurring Deposits and Monthly Income Scheme (MIS). Benefits & Discounts on Cash-less (or) Digital payments :* No Service Tax on Debit, Credit Card Transactions Up to Rs 2,000. * All railway passengers who buy tickets online will get free Accident insurance cover worth Rs 10 Lakh. * Monthly / Season tickets on sub-urban Railways via digital payment will get 0.50% discount. * Railways to give 5% discount on catering. *Insurance bought online from customer portal of Public Sector companies will get 8% discount for Life & 10% for General insurance. The Union Cabinet, chaired by the Prime Minister Shri Narendra Modi, has given its ex-post facto approval for amendments to the Maternity Benefit Act, 1961 by introducing the Maternity Benefit (Amendment) Bill, 2016 in Parliament. The maternity benefit Act 1961 protects the employment of women during the time of her maternity and entitles her of a ‘maternity benefit’ – i.e. full paid absence from work – to take care for her child. The act is applicable to all establishments employing 10 or more persons. The amendments will help 1.8 million (approx.) women workforce in organised sector. • Increase Maternity Benefit from 12 weeks to 26 weeks for two surviving children and 12 weeks for more than two children. • Facilitate ‘Work from home’. • Mandatory provision of Creche in respect of establishment having 50 or more employees. Prime Minister launched “Jeevan Pramaan” scheme,a digital life certificate linked to the Aadhaar unique identity number. This scheme may benefit over a crore retired employees of government and PSUs, a pensioner can now digitally provide proof of his existence to authorities for continuity of pension every year instead of requiring to present himself physically or through a Life Certificate issued by specified authorities.As of now, pensioners must either physically collect pension or submit every November a Life Certificate issued by authorities specified by the Central Pension Accounting Office.The proposed digital certification will do away with the requirement of a pensioner having to submit a physical Life Certificate in November each year, in order to ensure continuity of pension being credited into his account. DA hiked by 7% : The central government approved 7% hike in Dearness Allowance (DA), taking it to 107% of Basic Pay. This move will benefit 30 Lakh Central Govt employees and around 50 Lakh Pensioners. EPF : If you are contributing to EPF (Employee Provident Fund) then by 15th Oct you may get Universal Account Number (UAN). The UAN will be portable throughout your working career and can be used anywhere in India.There won’t be any need to apply for PF a/c transfer when you change jobs. Frequent withdrawal of money from ATMs will become expensive from November, with the RBI imposing a limit of 3 transactions per month from ATMs of other banks and 5 from the same bank. A customer will be required to pay a fee of up to Rs 20 for using ATMs beyond the permitted numbers of transactions in Delhi, Mumbai, Chennai, Bangalore, Kolkata and Hyderabad. Modiji launched ‘Pradhanmantri Jan-Dhan Yojana‘ scheme on 15-Aug-2014. Under the scheme, the person who will open bank account will get a debit card and the family will get Rs 1 lakh insurance cover to tide over any unforeseen eventuality.The Prime Minister said people in the country have mobile phones but do not have bank accounts, and this scenario needs to be changed. ICICI Bank offers EMI option on debit card buys: ICICI Bank-country’s largest private sector bank- is the first bank in the country to introduce this facility, an equated monthly installment option (EMI) for its customers on debit card purchases. 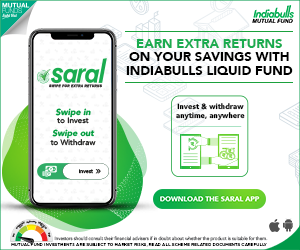 This EMI option that so far was limited only to credit card holders will now allow even the debit card holders to convert their high value transactions into equated monthly installments. Only debit card holders that have fixed deposits of minimum Rs 10,000 linked to the savings bank account will be allowed to exercise this option of buying products on an EMI basis of 3, 6, 9 or12 months. The customer is not allowed to break the fixed deposit till the end of the EMI term. HOW CAN I SEE ALL MY QUARRY LODGED WITH YOUR SITE PAST QUESTION WHOSE REPLY WAS GIVEN BY YOUR INTELLIGENT TEAM . You can see your comments and my replies under respective blog post comment section. 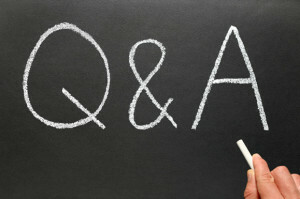 If you would like to track all Q&As then advisable to create a Login ID at our Forum section.. I have opened online account of NPS and invested in HDFC pension scheme. I have invested Rs. 6000/- for the financial year 2016-2017 online and invested Rs. 1,50,000 under PPF in Post office. Now I want to know whether Rs. 6000/- contribution is over and above Rs. 1,50,000 or not ? I have shown Rs. 6000/- under 80CCCD1(b) in income tax form. Kindly reply me at the earliest I have received query from Income Tax dept. Dear Mahendrasinh..Yes, it can be shown over and above u/s 80c… under 80CCD 1b. Please clear me ESIC wages cap , and this cap will be effective from which date ? give the detail because i am not able to find out gazzet. Dear Sir. I am 38 years old. I invested Rs.20Lakhs Lumpsum in Motilal Oswal Most Focussed Long Term Fund (ELSS-Growth) in the year 2015 for a time horizon of 15years. Can i expect 2 Crore from the above said time horizon. Motilal Oswal Most Focussed Long Term Fund is a new fund with just 1 year track record. So, can’t comment on the expected returns. But do remain invested for long-term. I had resigned from my Job. Presently my age is 55.5 years. My total PF membership is 32 years. i have scheme certificate of previous membership. Last employment was 5 years and three months. 1. can i with-row my PF amount? what amount i receive? 2. What about my Pension Fund? Pl. guide what i can do and what amount i get? 1 – Yes, you can withdraw your PF balance. The retirement age is considered as 55 years. Kindly check your EPF passbook to know the balance amount. 2 – You will receive monthly pension. EPFO has recently issued a notification wherein you can extend your service period till 60 years to get slightly higher Pension amount (around 8% more) after 60 years. My Name is Geeta. My earlier company merged in Another company. after merging, company transfer our PF from Old A/c No. to New PF A/c No. But PF department transfer only Employee & Employer Share. They didn’t transfer amount diverted in pension fund. So now how I will get that amount in New A/c? That you can now get only at the time of retirement. Earlier i handled P F . Hence i would like to give my feed back . once you submitted Form 13, Both PF & Pension amount to be Transferred to Present employer’s account . Only thing P F amount is visible and pension amount they did not disclose . will you please site any single mutual fund giving 40%returns ? I know it is difficult to site but just for my knowledge I have asked this question. I will be thankful if you enlighten me on this. Dear GIRI..You may kindly check the past returns of few good funds by visiting portals like moneycontrol.com. Even if a fund has generated 40% returns in the past, it is very unrealistic and may/may not be repeated in the future. Kindly read : Best Mutual funds for 2016. N T GIRL, I am sitting on stocks, mutual funds, money market funds and it nets me 14% yearly. I consider that a good return. When you consider the amounts we are talking here, I am very happy with 14% of my total invested amount. 40% is a once-in-a-lifetime event. If I were you, I’d consider myself lucky and move ahead. Good luck. You are doing an excellant and honest work for the investors. Dear Ashish..If you have active UAN & have seeded your Aadhar no & bank account with it, you can submit EPF withdrawal form directly to EPFO. Kindly read: New EPF withdrawal forms & procedure. Pradhan Mantriji apko suchit karte huye bhoat khed hot a hia. Ki apne jo mudra loan yojna shuru ki hai uske Andre may bhi pichle do mahine se bank me chakar lag rha hu. Kintu mujhe ab tak loan nahi mil ska.har bar mujhe Bhaga diya gaya aur Khan ki mudra loan yojna band ho gayi hai. Kay ab mujhe loan nahi milega. Kya meri takhlif door nhi hongi. Kay may apne bachi ko pada nhi paunga. May apke desh ka ek beta hu.pls. help me. your articles are the one of the best and unbiased. how can i personally share some of my thoughts on need of certain topics with you. suggest to have some facility to download an article as pdf . i think the site need to have sharing facility with whatsapp. Thank you so much for your appreciation. You may contact me @ sreekanth [at] relakhs.com . Keep visiting and kindly share the articles with your friends. I agree with m v gupta. Sreekanth Reddy is a whirl-wind of investment knowledge. Congrats and thank you Sir. This is very very fine site to learn more things which we are known our work. Please can you share about payroll of companies & what is relation of salaries with Tax pattern. How the employer decide CTC to candidate. At the time of filing applications under 3 schemes of yojana by the people in banks where their accounts are existing , the bankers ( SBH) branches are not issuing receipt of forms having received to the account holders even to this date. People may forget the filing of applications under the schemes and they don”t have any proof of filing applications in case forms are misplaced by the bankers. So humble request is to issue guide lines/orders to the bankers to issue receipts of forms to the applicants on the same day, otherwise poor people may loose confidence on welfare schemes. Hope early issue of instructions in this regard. Agree with your views and thank you for sharing your inputs here. Thank you for your appreciation. Keep visiting! Is Varishtha Pension Bima Yojna, open upto 15th August’15 different from Atul Pension Yojna (APY), being launched fro 1st June’15. Do you have some details about APY? Both are different schemes. In Varishtha scheme, there won’t be govt contributions. contribute 50% of the beneficiaries’ premium limited to Rs. 1,000 each year, for five years, in the new accounts opened before 31st December, 2015. Is there anything do you have related to home loan repayment option? I mean to say if i want to reduce my tenure of home loan. You may visit the below links. You can find Part-Prepayment calculators. Dear Mr.Reddy the topics covered in your blog are really Good and useful. You are narrating in simple and easy way. Thank you for your kind words. Keep visiting!